Aerating a lawn is a great way to keep your lawn looking great. Aerate means that you are allowing air to flow through the soil. So when you aerate your lawn, you are making small holes in the soil that will allow air, water, and other necessary nutrients get to the roots of your grass. 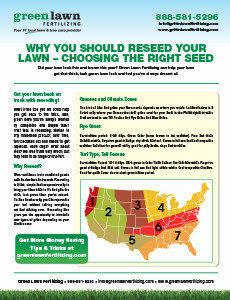 In doing so, you will create a healthier lawn that should grow very well. 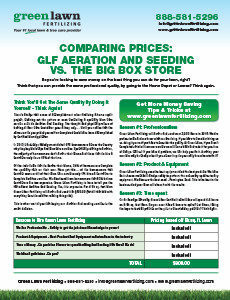 Below you will find 3 prime examples of reasons to aerate your lawn. If your lawn is heavily used and done so repetitively, it can become compacted from the heavy traffic on the grass. 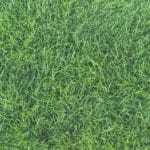 If you have children or dogs routinely using your lawn for their playground, or the weather has pushed your soil downward over time, your soil can become compacted with the repetitive and harsh use, and therefore desperate for aeration. Aerating your lawn creates a quick and direct path for nutrients to make their way to the roots of the grass, which increases the likelihood that your lawn will be healthy and abundant. Along these same lines, aeration helps to reduce the accumulation of thatch. Thatch is composed of stems and roots and is near the surface of the soil. Too much thatch can get in the way of air, water, and nutrients, getting to the roots of the grass. A sign that your lawn needs to be or is not being properly aerated is if you notice lawn puddles after it rains. In a well-aerated lawn, the rain will seep into the soil. However, if it is not properly aerated, the rainwater will not be able to adequately seep into the soil and will form puddles across your lawn. 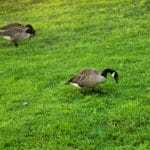 Most lawns in the Northern area of the United States (example: Pennsylvania, Delaware, New Jersey) do not need to be aerated in the spring, rather in the late summer or early fall. 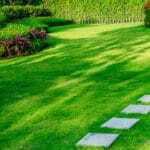 If you need assistance in determining if your lawn could benefit from aeration, contact Green Lawn Fertilizing at 888-581-5296 and we can determine what is the best solution for your lawn’s health.